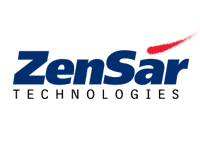 Zensar Technologies is an Indian IT based headquartered in Pune with Operations and Customer Base in 29 Global Locations. Here is the some of the interview questions asked in Zensar Fresher student Placement Drives held at various colleges,This questions will help you for preparation. What is the Difference between Delete and Truncate? In Java, String is Immutable. Justify. Will you be comfortable to relocate to any site? Will you be comfortable to work in different shifts? Placement Papers Hub. Powered by Blogger.